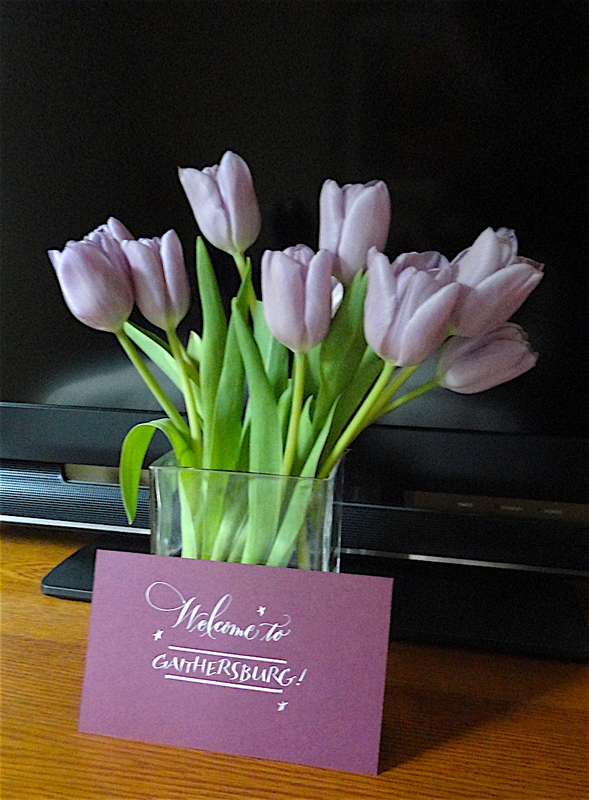 Mary Lou, Anton and housemate James gave me such a warm welcome. 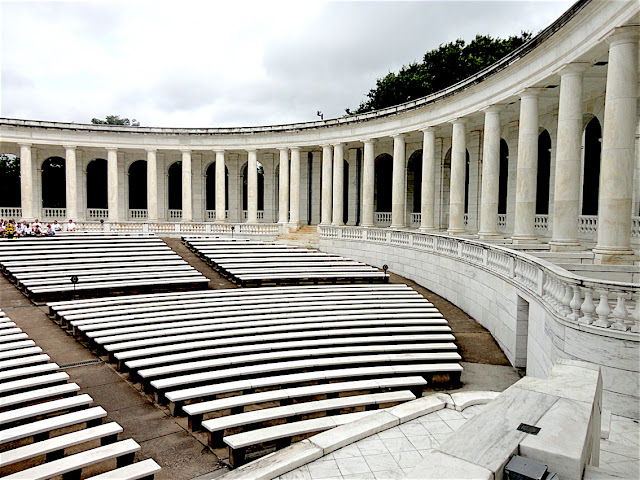 We discussed some ideas for today's Washington DC sightseeing and it was unanimous that we would visit Arlington National Cemetery. When Anton discovered my curiosity with the Kennedy family it was an obvious choice. I had been to Dealey Plaza in Dallas recently with good friend Carl and it seemed natural to "bookend" my Kennedy intrigue by visiting this grave site. I am so glad we did. Hot and humid as it was the day was reflective and though provoking. The cemetery and monuments are awe inspiring. 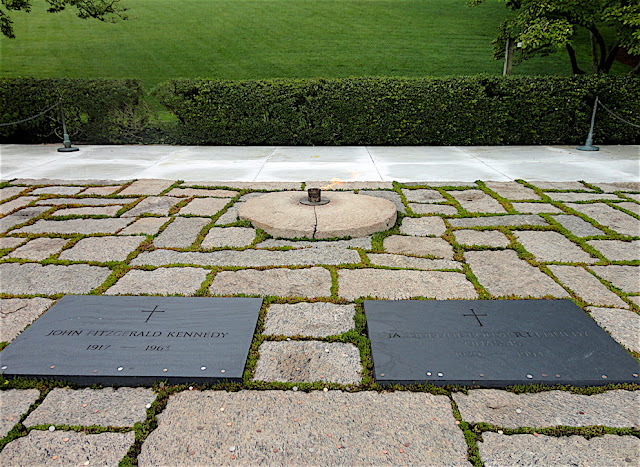 The resting place of John Fitzgerald Kennedy & Jacqueline Kennedy Onassis with the eternal flame. It was a reflective moment with Mary Lou. 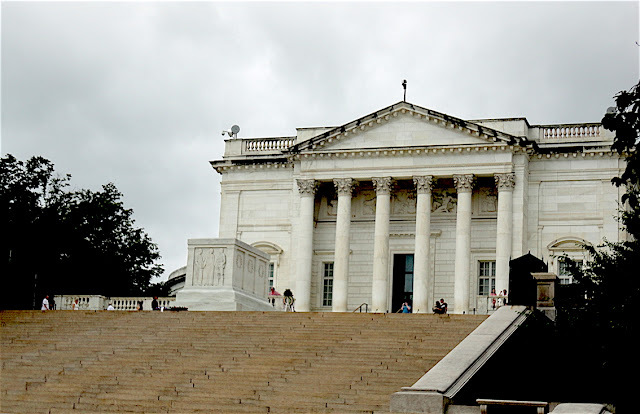 the Custis Lee Mansion. 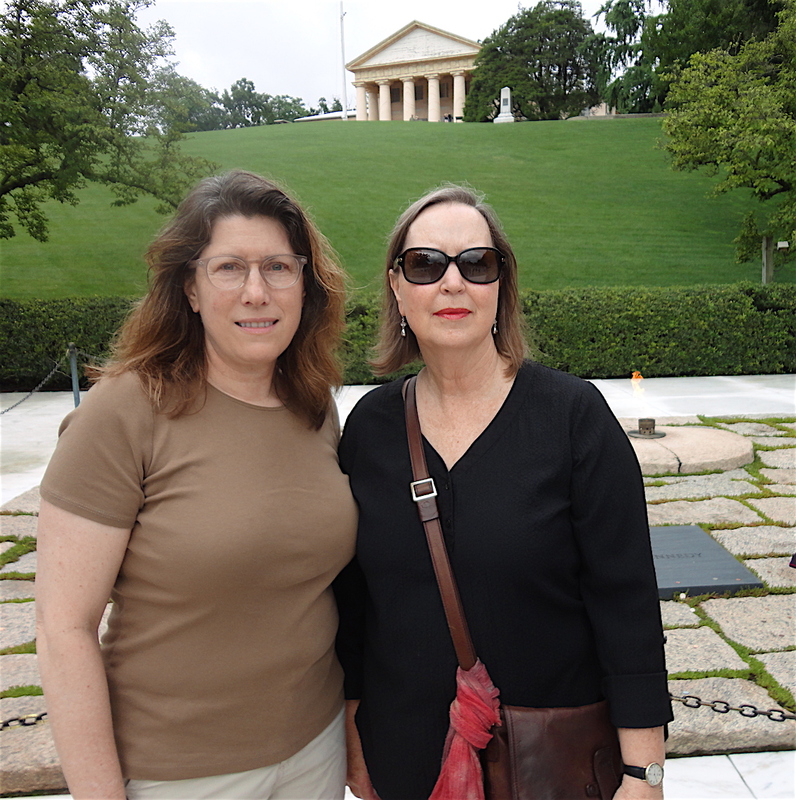 Such an historic site, neither of us could smile. This is a shot of the stage of a delightful little open air amphitheatre. We watched the Changing of the Guard of the Old Guard, here at the tomb of the unknown soldier. 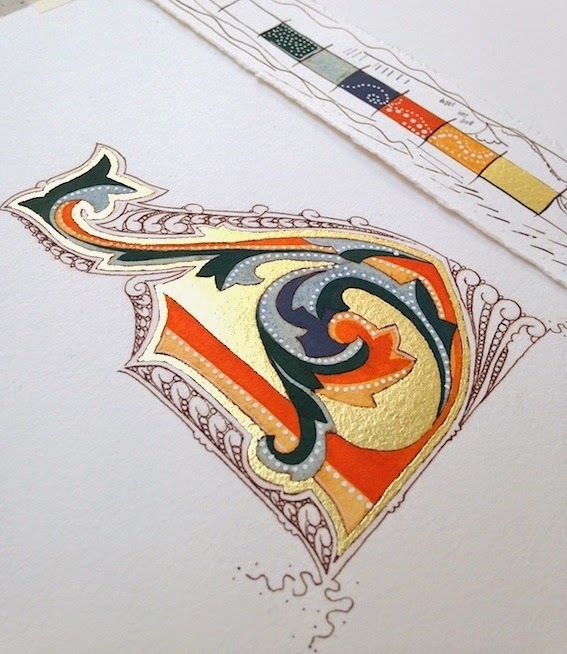 A solemn procession and affair. And here, the very place the President stands to address the people in this amazing open air theatre at the Tomb of the Unknown Soldier. 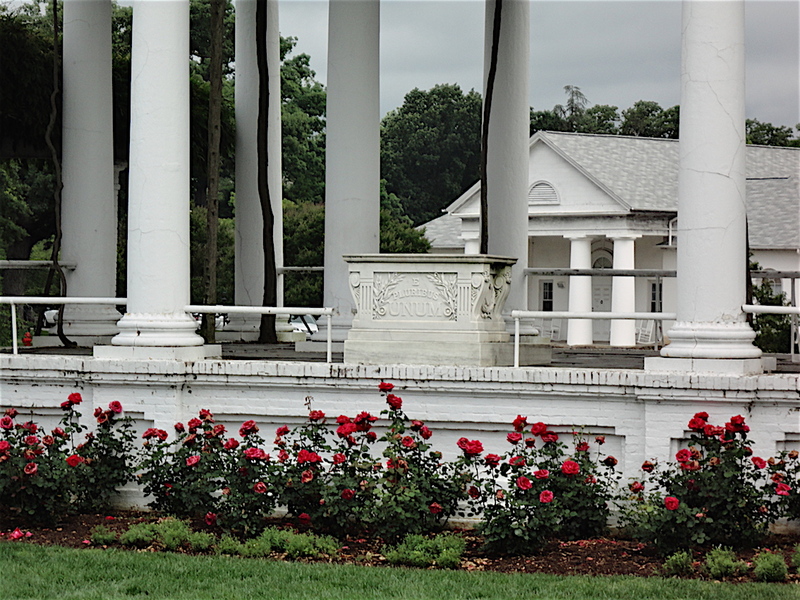 The place is full of doric and ionic columns. Awesome. I learnt even more today.